Grafted tomatoes just arrived from Sweetwater Organic Nursery. Grafted tomatoes are simply varieties of tomato attached to a supporting related root system resulting in a more disease tolerant, more productive and more cold tolerant tomato. Somebody attached these tomatoes to rootstock so yes… they are more expensive. 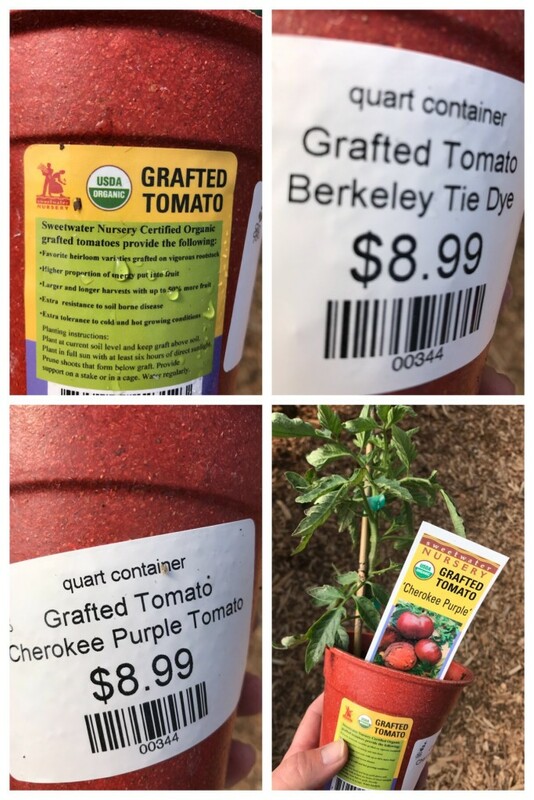 But when you consider the less than ideal weather conditions in the East Bay for growing tomatoes, planting grafted tomatoes virtually ensures a successful bountiful tomato crop!